Our proprietary blend of Ayurvedic supplement VENOUX reverses the Venous and arterial endothelial fatty deposits by dissolving and the damaged valves in veins are repaired to regain the tensile strength. Eventually, Fresh collagen fibres are laid down parallel to the old ones and new connective tissue is formed in the valves and a healthy architecture is restored. The new endothelium grown will contribute the strength enough to have sufficient tensile strength of the valves holding venous blood against the gravity. 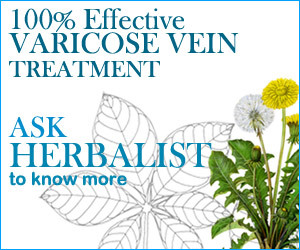 VARICOSMIN improves the blood perfusion in the veins and regains the healthy endothelium of vessels. VARICOSMIN helps to improvise the skin health by stimulating new Glycosaminoglycans (GAGs) and collagen in the layers. Also stimulates immunity with augmented blood perfusion to the skin layers. This effect helps reversing chronic eczema and scleroderma. Moreover, it helps for wound healing with good quality scar formation in the varicose ulcer and eczematous ulcers. When Nitric Oxide production declines, the blood flow reduces. Nitric Oxide can’t be supplemented due to the bio availability. The body needs nutrients to produce Nitric Oxide on its own. Veintonate helps veins and arteries to produce the Nitric oxide. Nitric oxide is a molecule that’s naturally produced in the endothelium of the veins and arteries. Nitric Oxide signals the Veins and arteries to open to receive blood flow and then relax again which helps maintain healthy circulation and normal blood pressure. Veintonate strengthen and boost the flexibility of veins and arteries wall and healthy endothelium. POM-G has the best ingredients i.e. Pomegranate Extract and Grape Seed Extract, which are having the reputation of very high therapeutic effects, especially those related to the circulatory system. When these two miraculous ingredients are combined and administered, the result is wonderful, especially in the case of Vascular Diseases. Pomegranate extract reduces Varicose Veins by reducing capillary fragility; polyphenols may help prevent bruising and may inhibit the formation of varicose veins. Grapes are considered the healthiest varieties of the fruit, with seeds from these grapes containing high levels of vitamin E, flavonoids and linoleic acid. Grapes and grape seed extract also contain the potent antioxidant compounds known as oligomeric proanthocyanidin complexes, or OPCs, which may reduce leakage in veins and swelling in the legs at dose of 500 milligrams of grape seed extract per day. 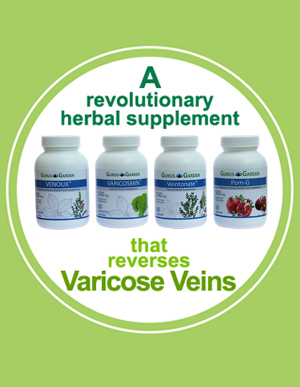 The combination of 4 formulas dissolves fat deposits in the endothelium of the vein and arteries. The lower limb arterial narrowing (Burger’s Disease) that ends in gangrene is also reversed by administrating this formula VENOUX, VARICOSMIN, VEINTONATE and POM-G. This is the best non-invasive and safer way to treat varicose vein compared to the surgical stripping off the varicose vein treatment or modern treatment of intravenous laser therapy. 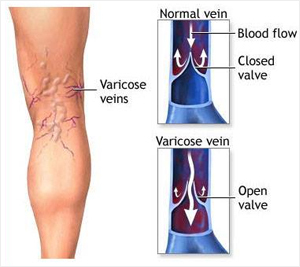 We recommend 3 months to 6 months medication for reversing the varicose veins subject to your present condition. The effect may vary among users. Side effects: – VENOUX, VARICOSMIN, VEINTONATE and POM-G, are 100% natural herbal extract and time tested by Chavarcode Ayurveda Physicians for more than one century and there are no known side effects noted.